Former Trump Spox Tears Into "Disloyal" Omarosa - Joe.My.God. 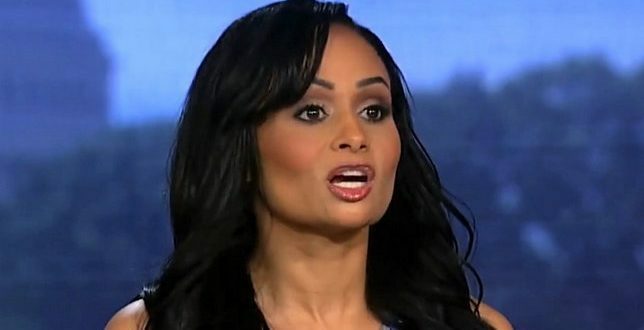 Former Trump campaign spokeswoman Katrina Pierson is going on the offensive against reality TV show star and former Trump administration official Omarosa Manigault Newman, whose new tell-all book hits shelves Tuesday. Pierson slammed the former White House aide for her “disloyal” behavior in a series of tweets Friday evening, claiming that Manigault Newman’s claims in her new book “Unhinged” that Trump is racist are untrue because a racist would never have employed an African American woman such as Manigault Newman in his administration. Pierson, a convicted shoplifter, was a regular feature here on JMG during the 2016 campaign and afterwards for her countless ridiculous lies, including that Obama was responsible for the death of a soldier killed in Afghanistan six years before he took office.